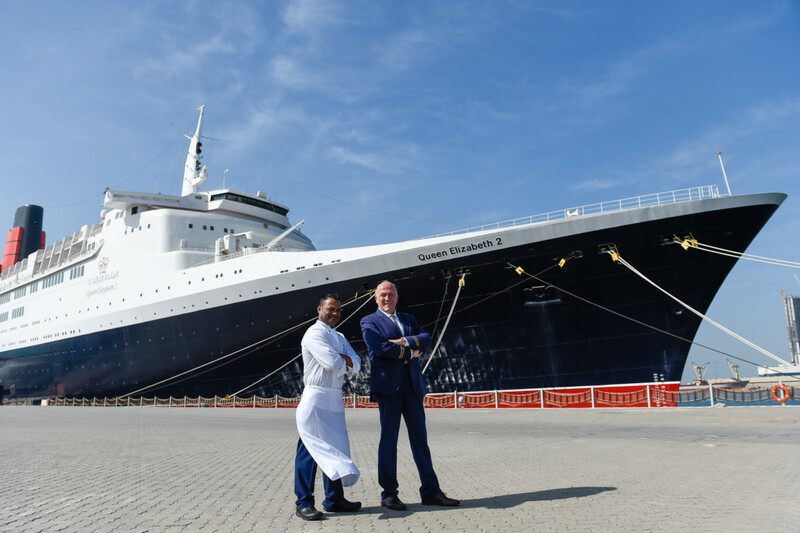 Majestic QE2 is docked in Dubai, but why did these crew, an Englishman and an Indian, stay back? 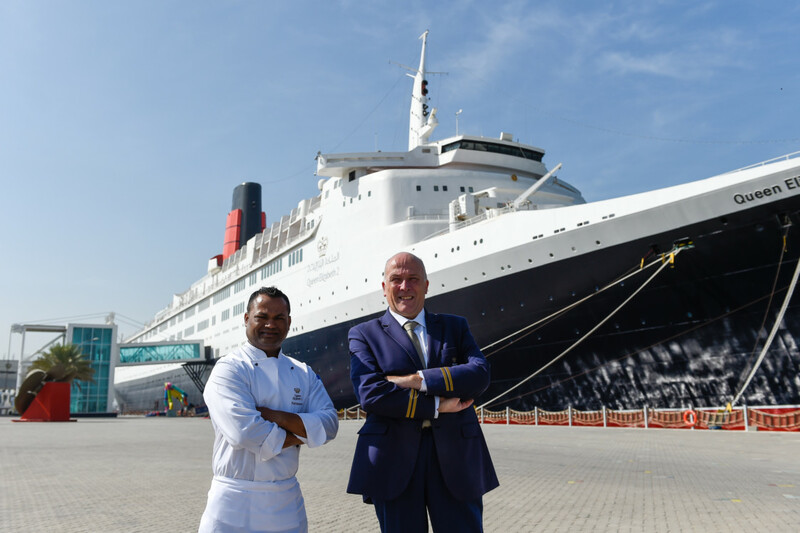 Dubai: For Peter Warwick and Ramasamy Pavadai — the only two crew members still on-board the QE2 left over from her days of active service — there are memories through every porthole. 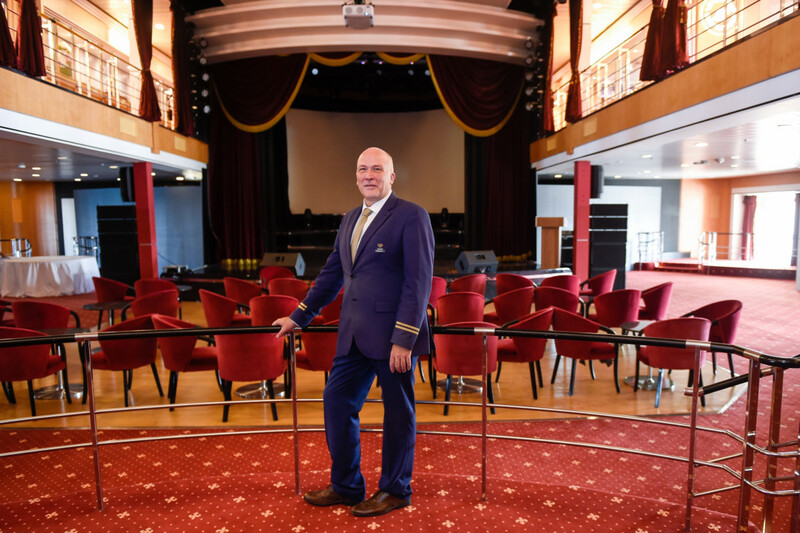 “This is where my mum and dad used to dance, and this is where David Bowie and I used to sit and chat,” says Warwick, now a tour guide for the floating hotel docked permanently at Port Rashid. 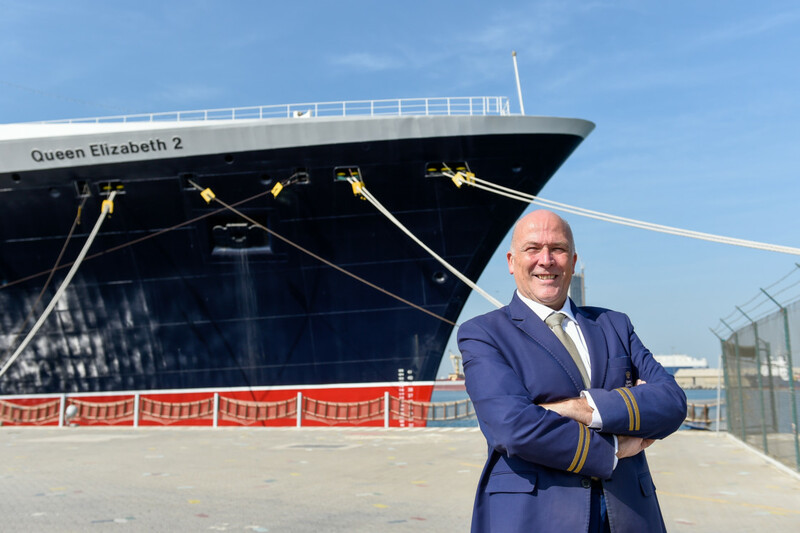 As a regular passenger with his parents Marion and Raymond since 1987, before serving as crew from 1995 to 2001, there are 14 years of emotion bound up on-board the iconic ocean liner. “I’m not ashamed to say that I often shed a tear as I’m walking around,” added the 52-year-old Englishman from Northampton, who is now six months into his return as a tour guide, and living on-board just a few rooms down from where he used to stay as crew. What drew him back? “An intense love of the ship. “For a good few passengers and crew it was superfluous where we sailed to as long as we were on-board. “Two days before disembarking we’d always be in tears. After five months at sea you’d be ready for some rest, but in a funny way you’d miss it the first night you weren’t on-board. All the memories came flooding back when I stepped back into the same galley that I used to work in all those years ago. “There’s a strong connection, not only with my parents but some of the passengers who have also since passed, that I don’t believe I would have found on any other ship, or back home in the UK for that matter. Having left in 2001 to care for his father, who died in 2003, after his mother passed away in 1999, Warwick had valid reason to step away, but it is his return, that he deems uncanny. When I show people around it’s like showing them my home, because for a good 14 years now, that’s exactly what it has been. Ramasamy Pavadai recounts a similar tale. 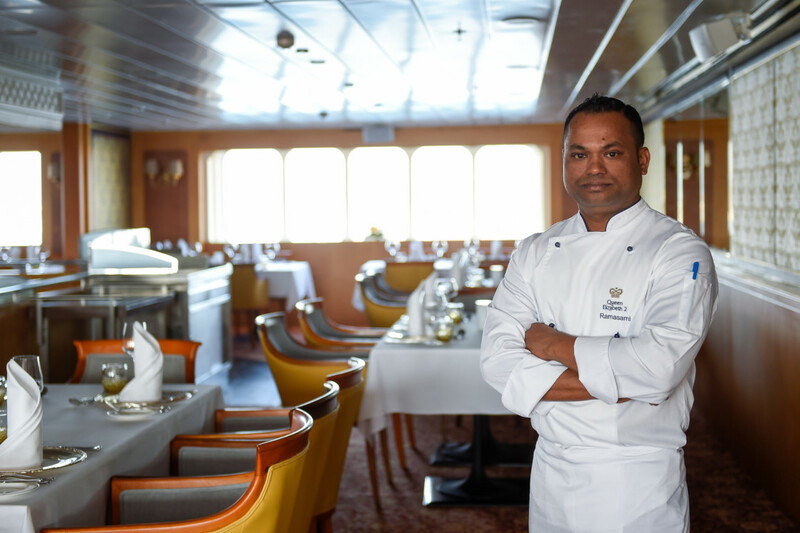 From 2000 to 2006, the 40-year-old Indian from Chennai worked as a demi-chef on-board the QE2. 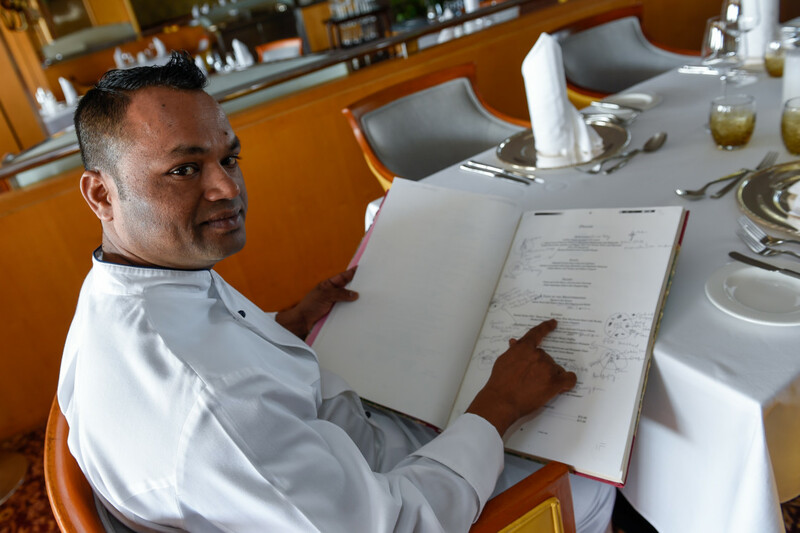 He had previously worked at Jumeirah Beach Hotel from 1997 to 2000 and after his spell on-board the QE2, he returned to Dubai to work at Madinat Jumeirah from 2006. 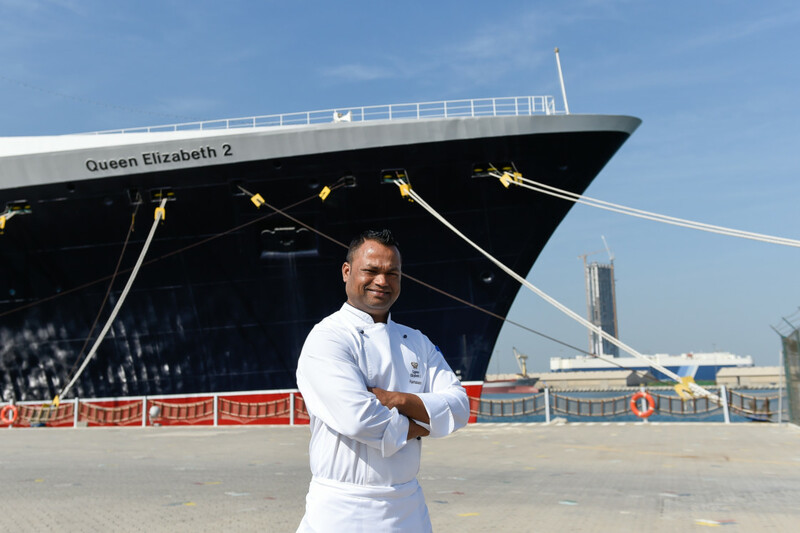 However, the QE2 followed him to the emirates in 2008 when it was decommissioned and sold to Dubai to be turned into a hotel, eventually opening for that purpose last April, when he rejoined as head chef of the Queen’s Grill restaurant. “I used to pass through Shindagha Tunnel and see her calling me,” he said. 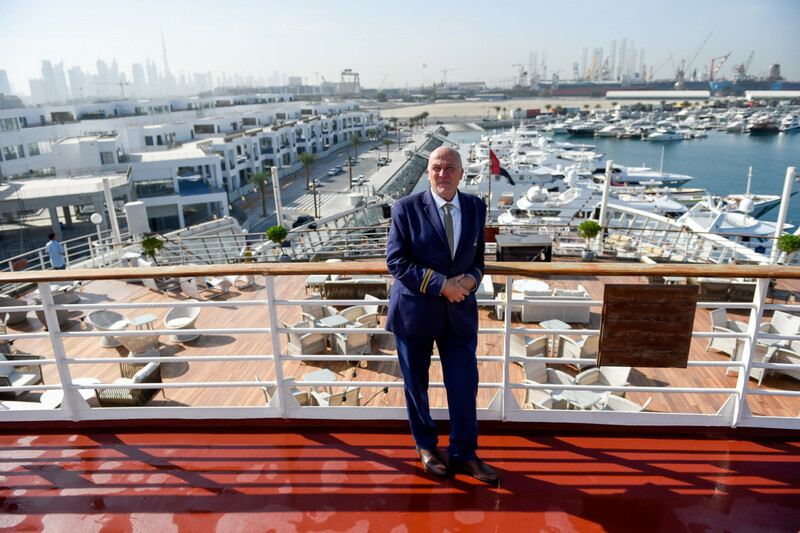 “I also visited Port Rashid several times to meet my old friends, who now work on other ships whenever they were docked in Dubai, and I’d see her sitting there. 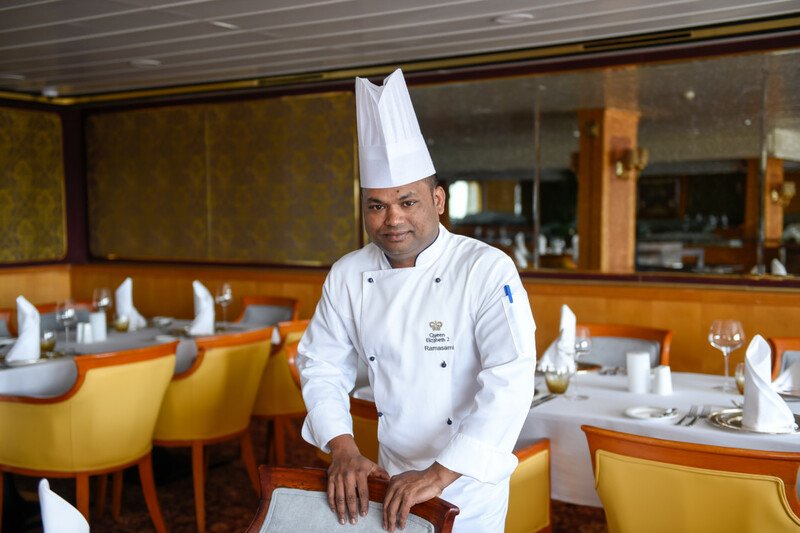 “When I saw a job come up to work on her again as head chef I jumped at the chance and in the interview they didn’t ask me anything, they just said OK, you are selected, based on my experiences on-board and my knowledge of the old menus. The QE2 completed 806 transatlantic crossings and 25 trips around the world transporting 2.5 million passengers over 5.6 million miles during her 39 years in service from 1969 to 2008. Her nine diesel electric engines, each the size of a double decker bus, could power the entire emirate of Fujairah. The ship’s anchor weighs the same as 2.3 elephants and her rudder weighs the same as 10 double decker buses. David Bowie travelled to gigs via the QE2 because he didn’t like flying and subsequently wrote much of his 1973 ‘Aladdin Sane’ album while on-board. With a top speed of 60-kmph she used to take just five days to get across the Atlantic and went faster backwards (35-kmph) than most ships can go forwards, consuming over 18 tons of fuel per hour, totalling 433 tons of fuel a day. She burnt a gallon of fuel just to move 15-metres — less than a length of a cricket pitch. At just over 21 metres, the height of the ship from hull to funnel is the same as the Pyramid of Giza. At just over 829 metres long it’s also over a third of the height of the Burj Khalifa. Even without a hotel booking, you can visit the QE2 for a tour, meal or beverage.